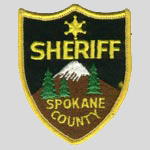 Spokane County is named after the Spokane Indian tribe. 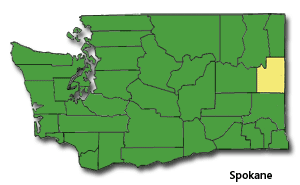 As of the 2017 Washington Census estimation, the population was 506,152, making it the fourth most populous county in Washington State. 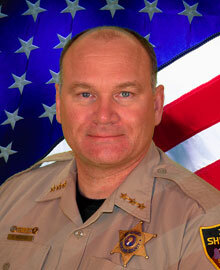 The county seat is at Spokane, the county's largest city, and the second largest city in Washington State to Seattle. It is part of the Palouse, a wide and rolling prairie-like region of the middle Columbia basin. The lowest point in the county is the Spokane River behind Long Lake Dam at 1,538 feet above sea level. The highest point in the county is Mount Spokane at 5,883 feet. According to the U.S. Census Bureau, the county has a total area of 1,781 square miles, of which, 1,764 square miles of it is land and 17 square miles of it (0.96%) is water. The population density is 238 per square mile.